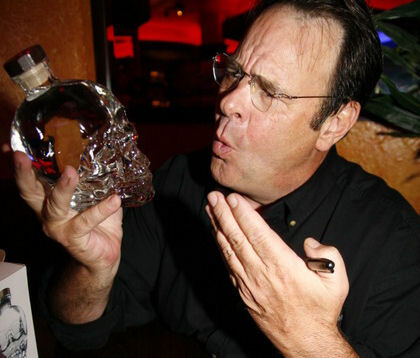 Dan Aykroyd – comedian, actor, screenwriter, conehead, musician, winemaker, ufologist and Canadian. Where does he get the time to make this vodka? There are 2 versions of how this vodka got its name. The first is based in myth and legend. A tale as old as time itself. A tale of 13 crystal heads dating from between 5,000 and 35,000 years ago. 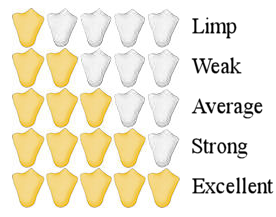 Supposedly each skull was polished into shape from a solid block of quartz. In 1962 a group of Hewlett Packard engineers determined that there were no tool marks whatsoever on the skull owned by Mitchell Hedges. The second is from a more recent and less well known tale. Apparently Crystal Head is the name of the stripper hired by Aykroyd for a friends bachelor party. So how does it taste? Surprisingly for a $40 vodka pretty bad. It is quadruple distilled and triple filtered through diamond crystals (quartz), which we know does nothing to improve the final product. I was really put off by the sweet licorice/anise finish. I tried it next with a little 7-UP which took care of the finish, but I really don't want to be diluting $40 vodka. It seems that a large percentage of the price tag is for the fancy bottle and a smaller portion of the cost goes to the contents. 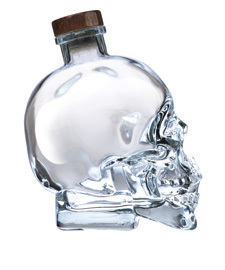 Overall, Crystal Head vodka is a good vodka but not a $40 vodka. If you would like a cool looking bottle to sit on your bar then it may well be worth the one time cost, then just fill it up with your favorite alternate vodka.